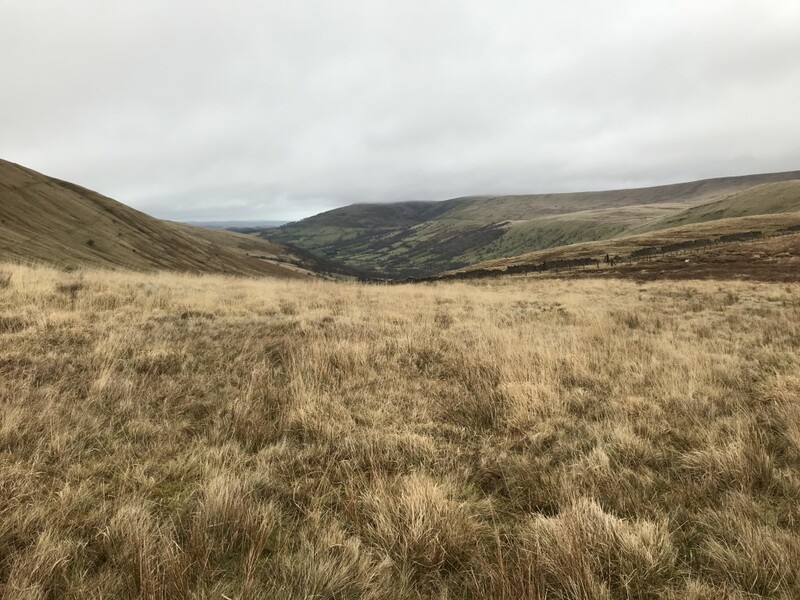 On Saturday, some of us headed north along the lane from the bunkhouse and headed up the Cwm Llwch Valley to Corn Du (873m) and Pen Y Fan (886m). Unfortunately it was cloudy and also very windy at the top but at least we didn’t get wet. 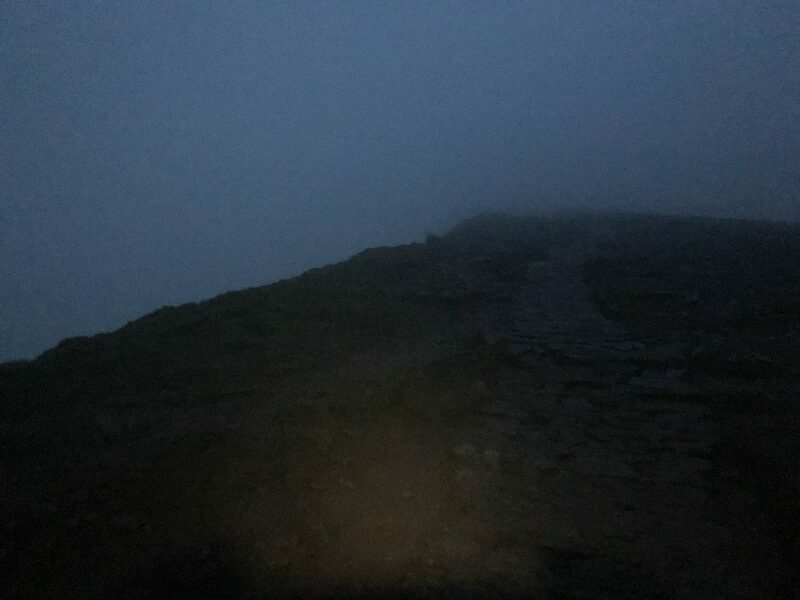 The boys decided to carry on and do Cribyn and Fan Y Big, but the girls decided to head down the track to the Storey Arms passing what seemed like hundreds of people all wearing trainers, we definitely felt overdressed by comparison! 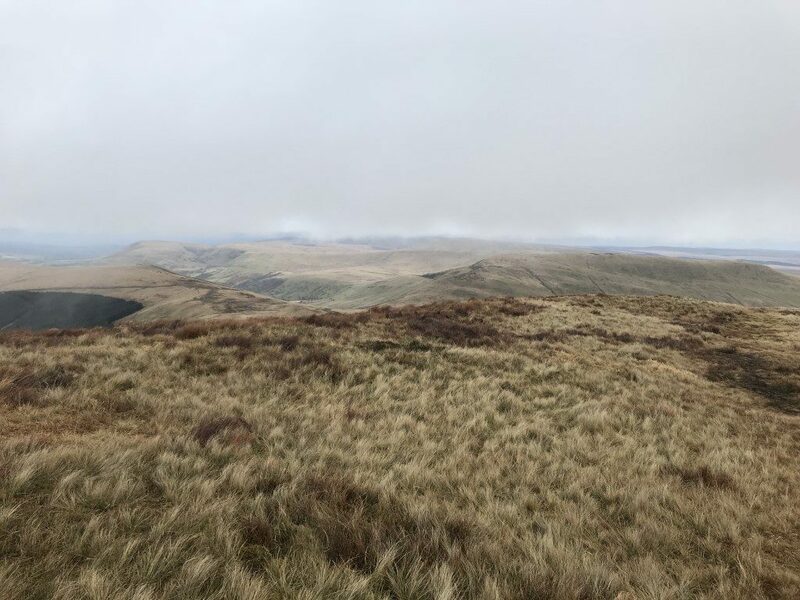 Gary, Barry and Andy headed to Fan Fawr (734m) and continued onwards with Andy & Barry completing 9 summits along the way, approx 6000ft ascent and covering 22 miles roughly, arriving back in the dark close to 7.00pm. Back at the barn we all enjoyed Gary’s homemade vegetable soup and beef bourguignon, followed by Waffle Berry pudding; all were all greatly appreciated! This was followed by the now well-known NMC game of Red Handed. On Sunday due to a variety of reasons most people headed home early. 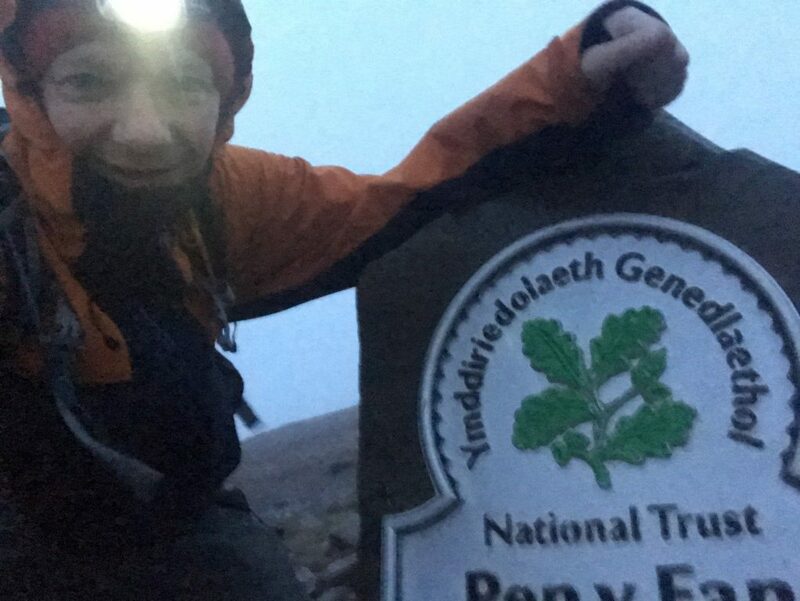 However Andy was ultra-keen and was up early at 5am to head up Peny-y-Fan in the dark and had arranged to meet Dan and Maisie (who had an even earlier start driving over from Newbury) on the top n at 8.00am! Amazingly they arrived at 1 minute past!!! 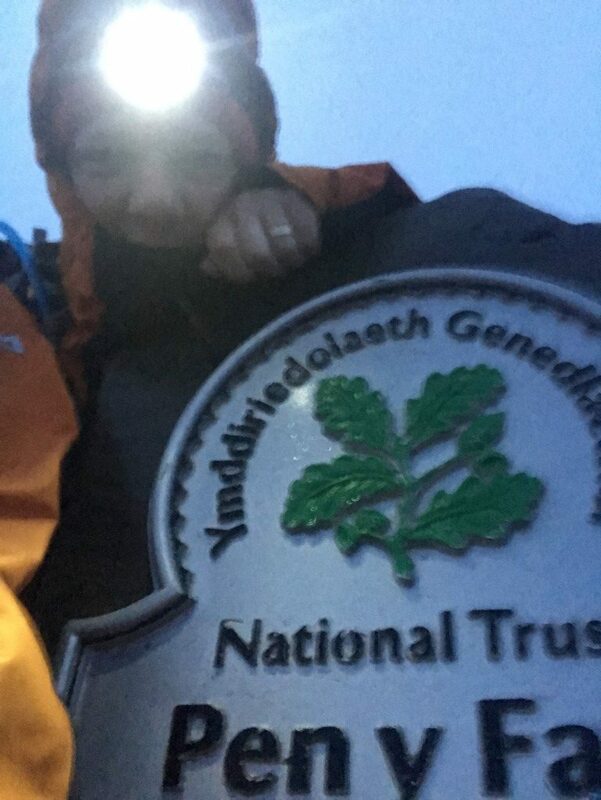 Barry, Gary and Al also did the same but at a more sensible hour of the day! 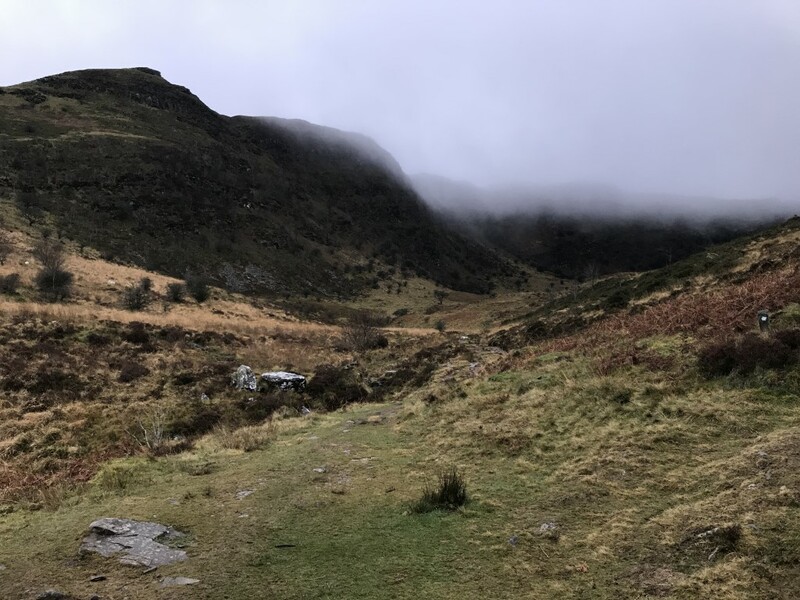 Yet again we all had another great weekend in the Brecons!